Having a little girl is sooo much fun! When I found out I was having a baby girl I was so excited and loved shopping for her. The dresses, ribbons, bows and lace just made my heart soar. There is just something about knowing you will have a little baby girl to accessorize and doll up. From the time my daughter was born, she ripped every hair band, barrette and bow out of her hair. I was crushed. She looked SO cute with stuff in her hair but her hair was thin and if she didn't pull it out, it fell out. So, I went on a mission to find hair accessories that would stay in her hair. Unfortunately, at the time I found nothing that worked. Again, I was disappointed. She is cute with or without things in her hair, but THIS mommy likes to see her looking girly! Several months back I happened upon a website that carried hair clips that stay put. I was very excited about this because like I said, Hannah's hair is thin so hair clips DON'T stay in well at all. Usually, I have to use a rubber band first and then put the clip on top of that. It works, but is alot more work. No Slippy Hair Clippy is a company that creates just that...no slippy hair clippies! 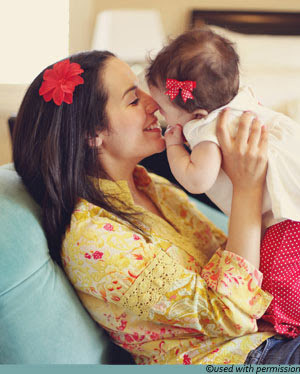 Not only do they carry clips, but they also carry headbands, bows and flowers; for babies, toddlers AND moms!! Our first "no-slip hair clip" was invented out of sheer frustration in 2000. It took a mom with an almost-bald baby girl to invent a hair clip that would stay securely in place and look cute. For countless generations, baby girls have often been mistaken for boys, and until No Slippy Hair Clippy® opened its doors in 2001, you couldn’t find a hair accessory created specifically to stay in baby-fine hair. Thanks to us, your daughter’s generation no longer has to worry about being mistaken for a BOY! Our hair clips are quite unique, with a patent pending. Originally designed with a magnet to enhance the hold, we now use a more expensive Plush Swiss Velvet wrapped completely around the metal clip, to provide an identical snug, secure grip. It’s now lighter weight, and so soft she won’t even know it’s there! Our clips won’t hurt if she pulls them out, either, and because we use the highest quality clips available, they don’t bend easily, like others do. Truly the world’s finest non-slip clip®! Over time, we have continued to grow and to add new products, and we now design hair accessories for girls, teens and women, as well as babies. We offer three different sizes and types of clips; a Mini, a Standard Pinch, and a French Clip for girls of all ages with lots of hair. All are non-slip clips®, and they also won't slide in fine hair of any length. We also offer no-slip headbands, including an organic cotton head wrap, the first of its kind! No Slippy Hair Clippy® has been nominated every year since 2005 by retailers across the US for the prestigious "Earnie" award for design excellence, and is also a celebrity favorite, photographed often in Hollywood and around the world on celebrities and their children alike. And now (because we can't help setting trends), a new line of Clipettes™ using our tried and true manufacturing methods with different no-slip materials, is making its debut as a value-based division of No Slippy Hair Clippy®. When I first visited their website, I was really impressed with the selection. I also wasn't aware that they had hair accessories for moms like me! That was so cool to see. Usually these companies cater to the little ones and forget that moms like to match their girls too sometimes. I am glad that No Slippy Hair Clippy thought this one through and made their products span a large age group. Right away I knew that I LOVED the Felicia Flower Clip. I love the green and pink together, it is sooo pretty! This particular clip has felt around the barrette clip that keeps it in place. I tried putting it in Hannah's hair with and without a rubber band hair tie and both ways it didn't move...which was great!! Hannah loves wearing these clips and she keeps them in her hair. She looked at all the clips on my table and immediately, she wanted to wear the monkey. I thought that was funny but it turns out that one is her favorite!! Also included with my hair clips was a white strip of wide ribbon. I was not sure what it was until I read the informative insert in the shipping package. In order for you to keep your clips organized and safe, it is recommended that you store them properly after use. So, the ribbon is to be used to store my clips! I just attached them to the ribbon and voila!! It works perfectly! I was happy to read that No Slippy Hair Clippy uses water-based-kiddie-safe non-toxic glue when making their products. With this in mind, it is important to not get the clips wet as the glue can dissolve. I think it is wonderful that they are using safe products to create their beautiful hair accessories!!! So, in my opinion...No Slippy Hair Clippy is a wonderful company! I can tell by what I received that their products stand above the rest. Quality is definitely a priority and they put alot of effort in making sure that each clip is perfect before it is shipped. I love the way that these clips look in Hannah's hair and she obviously loves them as well. I would definitely recommend this company to any mom out there who is tired of clips falling out of her daughter's hair...this is the PERFECT solution!! Visit No Slippy Hair Clippy and then come back here and tell me which clip(s) is your favorite. :) You do not have to be a blogger to enter, but you must have a valid email where you can be reached should you win. If you do not leave an email address, it must be where I can easily find it. This giveaway is open to US residents and will end 10/28 at 11:59 pm EST. The winner will be chosen using random.org and will be notified by email. The winner will have 48 hours to respond, or another winner will be selected. 1. "Like" No Slippy Hair Clippy on Facebook. 2 entries, so 2 comments. 2. Follow No Slippy Hair Clippy on Twitter. 2 entries, so 2 comments. 3. Subscribe to No Slippy Hair Clippy's Newsletter. 2 entries, so 2 comments. Disclaimer: I received no monetary compensation for this post. I did receive free No Slippy Hair Clippies for review purposes. All quotes and stock photos are from the No Slippy Hair Clippy website and email. Prize is being provided by the sponsor. All thoughts and opinions are 100% mine. love the baby emily bow! I like the Kaia flower clip. My daughters would love to wear things like the Sage flower clip. I like the daisy or the tonya head bands. I like the Whitney Princess bows - I'd probably either get white or pink - but I'd probably let my little girl pick out what she likes if I win! 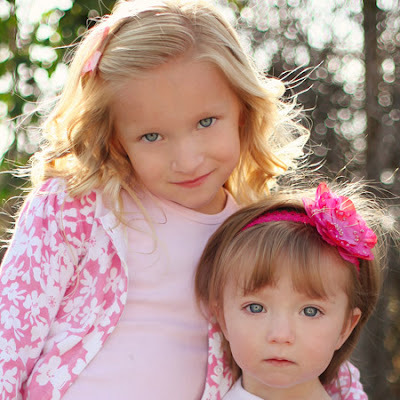 I love the Dottie bow and Michelle flower. i follow No Slippy Hair Clippy on Twitter. I like Ella pastel and Giselle. I like the Andrea headband. I really like the colors and style of the Striped Grosgrain Knot Baby Bow for girls. That's my favorite. I love the Laney Cupcake clippy!